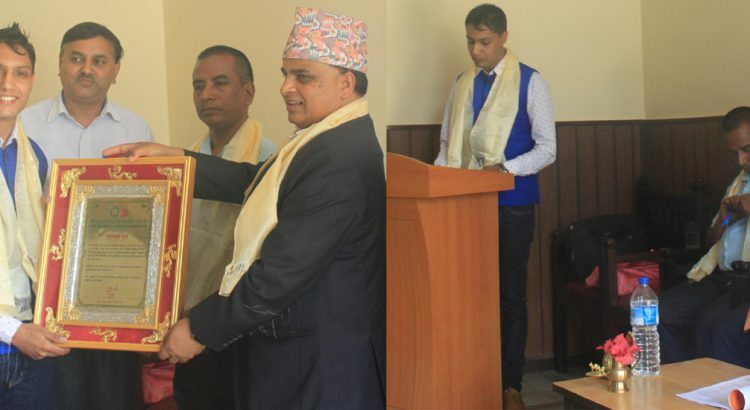 Mr. Rajendra Gautam, Founder of Solidarity International recognized as a Peace Hero Nepal 2019 from Peace Museum Vienna, Peace Museum Colorado & Peace Museum Nepal. 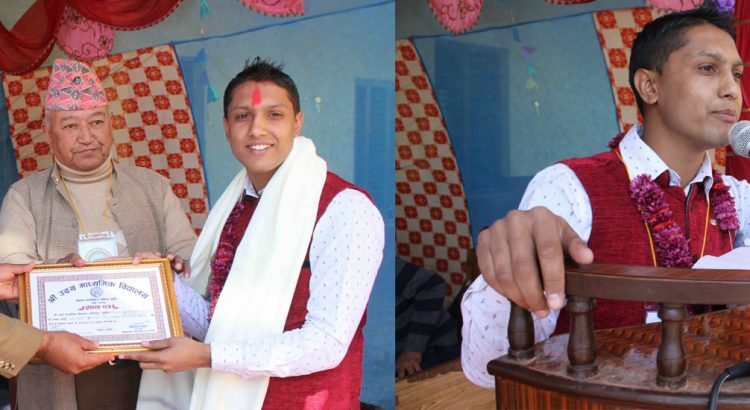 He was awarded together with renowned personalities of Nepal CNN Hero 2010/Governor of Province No. 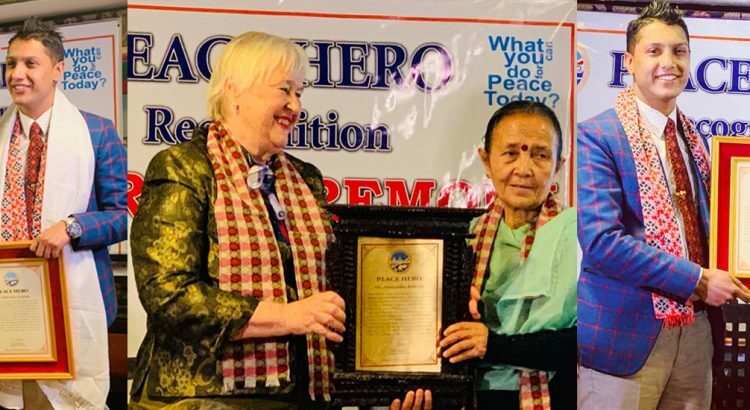 3, Government of Nepal Ms. Anuradha_Koirala and popular Eye Surgeon/Ramon Magsaysay Award winner 2006 Mr. Sanduk Ruit. 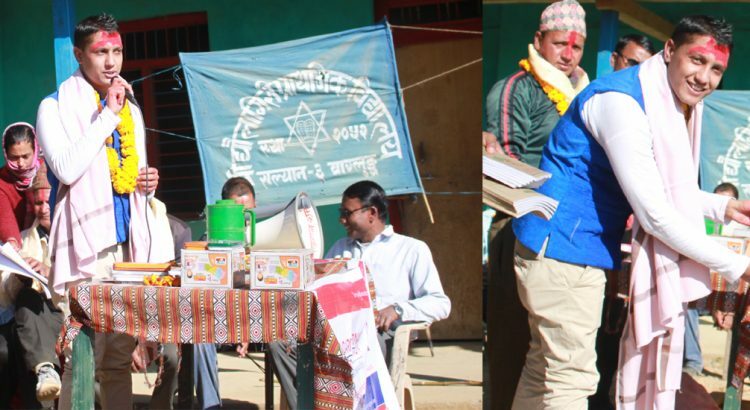 Students of Shree Udaya Secondary School, Shantipur, Gulmi receiving educational scholarship under “Project-Hope”, One Child – One Donor Sponsorship program during 61th Anniversary of the school on Dec 22, 2018. 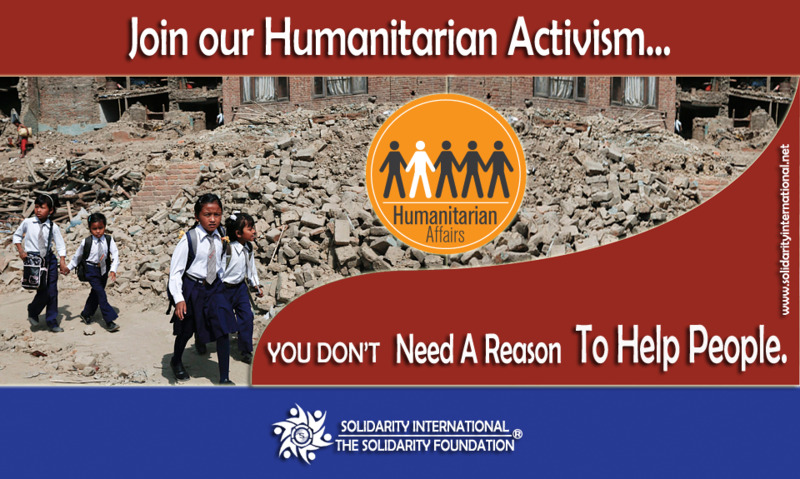 SI is providing full scholarship to 15 underprivileged students of the school since 2017. 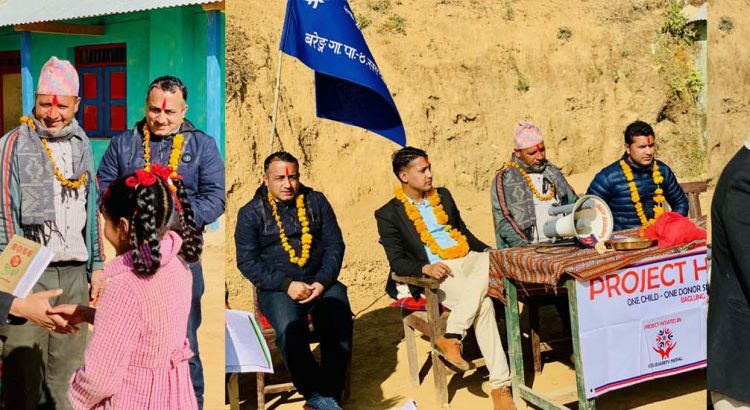 Students of Shree Balbodh Lower Secondary School, Jharkharka, Gulmi receiving educational scholarship under “Project-Hope”during the event organized at School premises on Dec 20, 2018. 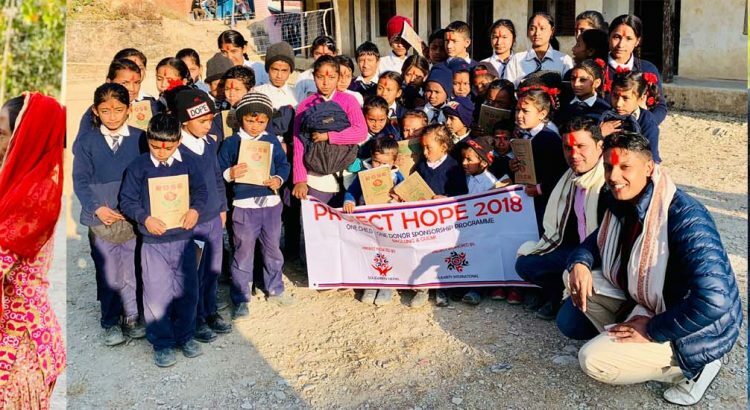 50 students of Shree Dhaulagiri Primary School, Salyan, Baglung receiving educational scholarship under “Project-Hope”, One Child – One Donor Sponsorship program during the event organized at School premises on Dec 19, 2018. 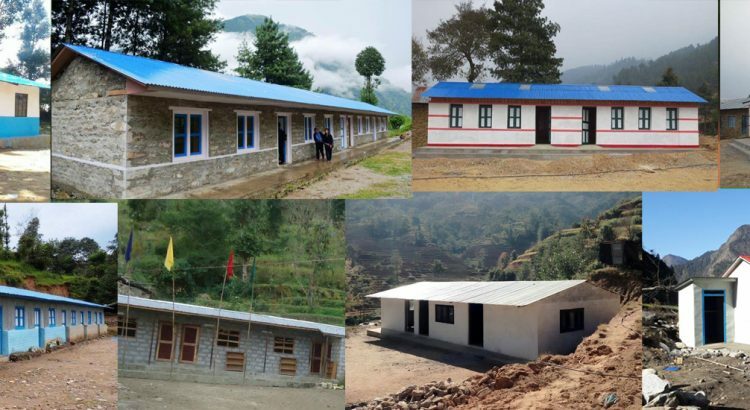 SI is supporting all the students of SDPS since 2017. 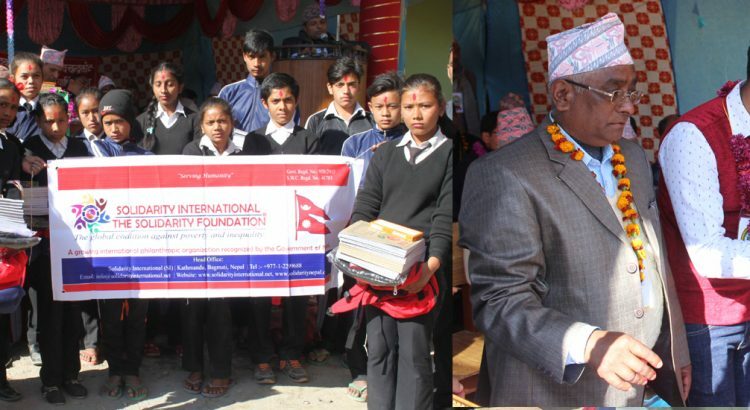 Students of Shree Dumsijhang Lower Secondary School, Hanba, Dolakha receiving educational scholarship under “Project-RudraMan Scholarship Fund”during the event organized at School premises on Feb 19, 2018. 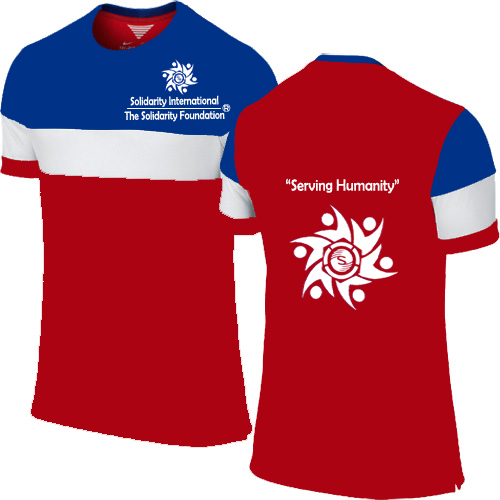 SI is supporting the students of SDLSS since 2013.